Trump Towers Las Vegas high rise luxury condos had a topping off ceremony and media event last Friday and Donald Trump placed a tree atop the 65th story roof of Trump International Hotel & Tower 1, expected to open next year. 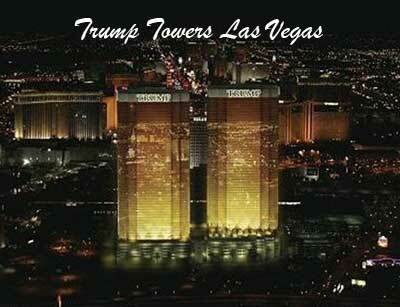 The second tower at Trump Las Vegas with 1,282 condominiums was announced on “The Apprentice” and is scheduled to open in 2010. The New Frontier hotel was sold for $1.2 billion by Phil ruffin to El Ad real estate investment group last week. Donald Trump, Phil Ruffin and Jack Wishna, are all co owners of the seven acres of land behind the casino.